Math.2.OA.A.1: Use addition and subtraction within 100 to solve one- and two-step word problems involving situations of adding to, taking from, putting together, taking apart, and comparing, with unknowns in all positions, e.g., by using drawings and equations with a symbol for the unknown number to represent the problem. Math.2.OA.B.2: Fluently add and subtract within 20 using mental strategies. By end of Grade 2, know from memory all sums of two one-digit numbers. Math.2.OA.C.4: Use addition to find the total number of objects arranged in rectangular arrays with up to 5 rows and up to 5 columns; write an equation to express the total as a sum of equal addends. Math.2.OA.C.3: Determine whether a group of objects (up to 20) has an odd or even number of members, e.g., by pairing objects or counting them by 2s; write an equation to express an even number as a sum of two equal addends. Math.2.NBT.A.2: Count within 1000; skip-count by 5s, 10s, and 100s. Math.2.NBT.B.5: Fluently add and subtract within 100 using strategies based on place value, properties of operations, and/or the relationship between addition and subtraction. Math.2.NBT.B.9: Explain why addition and subtraction strategies work, using place value and the properties of operations. 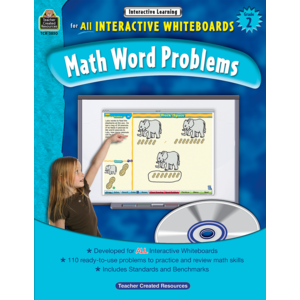 Math.2.NBT.B.7: Add and subtract within 1000, using concrete models or drawings and strategies based on place value, properties of operations, and/or the relationship between addition and subtraction; relate the strategy to a written method. Understand that in adding or subtracting three-digit numbers, one adds or subtracts hundreds and hundreds, tens and tens, ones and ones; and sometimes it is necessary to compose or decompose tens or hundreds. Math.2.NBT.B.8: Mentally add 10 or 100 to a given number 100–900, and mentally subtract 10 or 100 from a given number 100–900. Math.2.NBT.B.6: Add up to four two-digit numbers using strategies based on place value and properties of operations. Math.2.MD.C.8: Solve word problems involving dollar bills, quarters, dimes, nickels, and pennies, using $ and ¢ symbols appropriately. Example: If you have 2 dimes and 3 pennies, how many cents do you have? Math.2.MD.C.7: Tell and write time from analog and digital clocks to the nearest five minutes, using a.m. and p.m.
Math.2.G.A.1: Recognize and draw shapes having specified attributes, such as a given number of angles or a given number of equal faces. (Sizes are compared directly or visually, not compared by measuring). Identify triangles, quadrilaterals, pentagons, hexagons, and cubes.